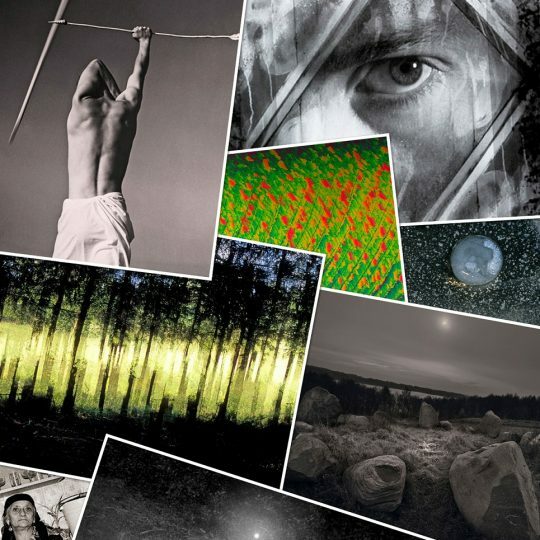 Opera Photography Gallery will show the works of twenty photographers associated with legendary photography art group PAcamera Club of Suwałki. The opening and meeting with the artists will be chaired by Marek Grygiel, an art historian, art curator, fotoeditor of Polish “Gazeta Wyborcza.” We kindly invite you on Tuesday, April 16 at 18:30 to the Small Stage at Odeska 1. The entrance for the opening is free. PAcamera Club came into being in 1985 in Suwałki. Zygmunt Gałaszewski—a director of Suwałki Cultural Centre at that time—was also an initiator of creating that club. He trusted a group of photography enthusiasts who worked in Suwałki Cultural Centre. One of them, Stanisław J. Woś founded PAcamera Club. At that time, it was a club of good friends who loved photography. That club consisted of some graduates of art schools, professional photographers, schoolboys and amateurs. They were at the different age and treated photography as their hobby. Talking about the history of that PAcamera Club, it is important to point out some spectacular Polish photography expositions which took place at the beginning of the 90s, such as ‘Drzewo’ (‘Tree’), ‘Kamień’ (‘Stone’) and ‘Niebo’ (‘Sky’). They were organised in Suwałki. Some important photography awards have also been granted, such as the Award of Polish Landscape Biennale or the Award of Polish Press Photography. The winners were the first members of PAcamera Club. All those events have made PAcamera Club well-known in Poland. The photographers working in Suwałki Region often point to the achievements of PAcamera Club. They also indicate their masters of photography who were the first coaches of Suwałki Cultural Centre. The history of PAcamera Club has already been a closed chapter but it begins also a new period of acting in the north-east of Poland. Today we can talk about PAcamera photographyschool because there are two places of photography education, such as Białystok Academy of Photography or Suwałki School of Photography. The tradition of PAcamera Club is cultivated there and the ideas of photography art proposed by Stanisław J. Woś (who was the master and founder of PAcamera Club) are well-known. These two schools are leaded by co-founders of PAcamera Club. Those who are graduates of these schools are also photography inheritors of PAcamera times. It is important to say that the Edward Hartwig Photography Gallery has been recently closed. Artists Association in Wigry has been its seat. The mission of this gallery has stayed close to the tradition of PAcamera Club in Suwałki. There have been more than 50 members of PAcamera Club for about 30 years. For some of them being a member of PAcamera Club lasted a very short time but for many of them this sort of activity has become their lifetime adventure. So, PAcamera Club was composed of amateurs, enthusiasts as well as those who have remained faithful to photography up today. Their activity has been multifaceted for the last 30 years. That is the reason why it is really difficult to present an overall picture of PAcamera Club. This exposition presents only some photographs which have been chosen in order to show their authors’ interests and horizons. It gives us a chance to look at PAcamera Club from the perspective of the last 30 years.